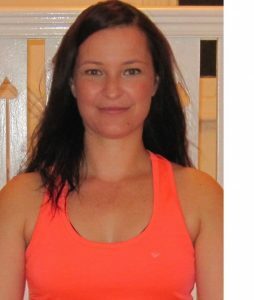 Arlene is a qualified Yoga Therapist (since 2014) and Occupational Therapist (since 2001). She has worked in various mental health settings and has spent the past 10 years specialising within the Eating Disorders field. Following her own yoga journey Arlene became interested in bringing the benefits of yoga to others she works with which led her to complete her Yoga Therapy Professional Training. She has also completed Yoga Therapy for Insomnia and Yoga Therapy for Eating Disorders training through Minded and currently supervises students on the Minded Yoga Therapy Professional Training. Arlene combines her knowledge and experience from being both a Yoga Therapist and Occupational Therapist to support students on the path to optimal wellbeing. Arlene is motivated to work with individuals and groups to empower them on their own yoga journey and to develop life skills to support mental wellbeing.